This summer been full of great news in my personal career development. I’ve been accepted as a speaker on Fraud/Security subjects at Splunk 2015 yearly users conference to talk about using Splunk in financial/banking industry to detect, alert and investigate advanced accounts takeover cyberattacks. 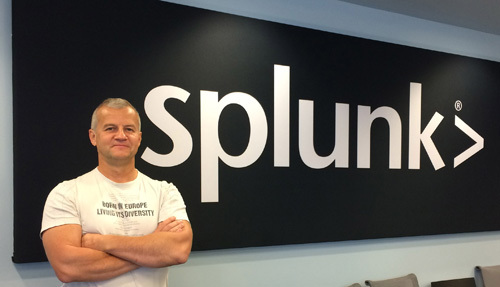 My Splunk 2015 conference session talk slides are here. The session attracted plenty of interest from multiple financial organizations and banks and based on their detailed use cases and feedback Splunk is on a target to become powerful security solution to detect complicated fraud events. In addition to that right before the conference I been made and accepted an offer from Splunk directly to join their team in a Senior Product Manager role within security organization overseeing development of anti-fraud products. I really excited to be able to utilize all my past experience in security research and practical skills in building anti-fraud products. This of course involved me moving from cold Canada to warm San Francisco Bay area. With my new office to be located in San Francisco this is quite a change – yet I am seriously excited to be involved into making world’s greatest data analytics software even better!